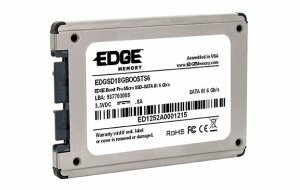 EDGE Boost Pro Micro SSDs are TAA compliant, built with premium SandForce controllers, and backed by a superior five-year warranty. 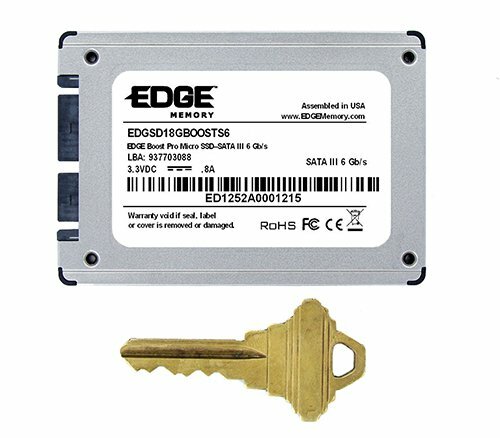 EDGE™ Boost Pro Micro Solid State Drives (SSDs) are designed to be a direct replacement for traditional spinning disk hard drives. The result is a faster, lighter, more durable, and more reliable solution. 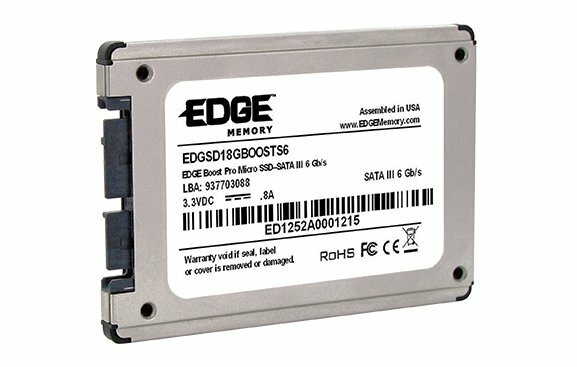 Boost Pro Micro SSDs are both PC and Mac compatible and will work in almost any computer with a Micro SATA interface. Utilizing a premium controller, the Boost Pro Micro SSD can achieve ultra fast transfer speeds. 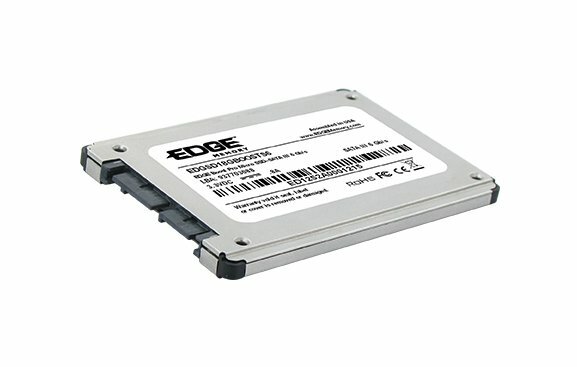 In comparison to hard drives, EDGE Boost SSDs can improve system boot times by 5x. * Fast read/write speeds and a lofty IOPS rating provide fantastic performance gains in common tasks such as file transfers and loading software applications. With no moving parts, Boost Pro Micro SSDs are less susceptible to mechanical failures. This also results in longer notebook battery life, lower heat emission, and completely silent operation. The feature-rich controller comes standard with robust tools such as TRIM, S.M.A.R.T., Garbage Collection, wear leveling, and ECC to promote stability and reliability.